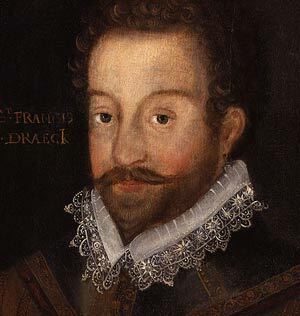 Sir Francis Drake ( 1540 – January 28, 1596) was an English sailor and explorer. Beginning around 1563, he and his cousin, Sir John Hawkins became the first Englishman to sell slaves from Africa in the New World. In Panama in 1573, he captured a fortune in silver and gold that the Spanish had seized from the Native Americans and became the first Englishman to see the Pacific. 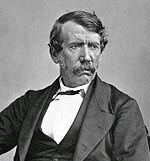 He was also the first Englishman to sail all the way around the world. Because of this, he was made a knight by Queen Elizabeth I. His rise from commoner to great war hero and influential person was rare for his time. However, this remains unsourced. A sourced quote shows Drake’s assessment of the Spanish fleet, as the Armada approached. Letter to Sir Francis Walsingham, from off Cape Sagres, Portugal (17 May 1587). His naval exploits led King Philip II of Spain to offer a reward of 20,000 ducats, ( US$6.5M in today’s money), for his life. Sir Francis Drake’s ship was called ‘The Golden Hind’. Sir Francis Drake was the second man to sail around the whole world with two of his ships intact. Sir Francis Drake also helped to commercialise the slave trade. He accompanied his cousin Sir John Hawkins in the third British Slave trading expeditions. He was also present at the Rathlin Island Massacre, where 600 people were massacred after surrendering in Ulster. He died of dysentery in January 1596 after unsuccessfully attacking San Juan, Puerto Rico. Citation: Pettinger, Tejvan. “Biography of Sir Francis Drake”, Oxford, UK. www.biographyonline.net, Published 21/04/2009. Last updated 18 Feb 2018.